Renee and Fabien were married in the summer at Room 1520 in Chicago's West Loop. Their style was classic, romantic and timeless. 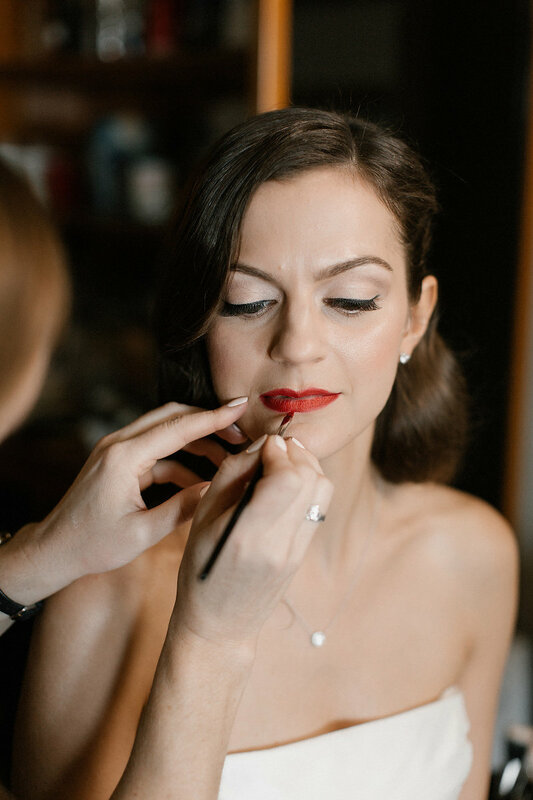 Tricia Clarke makeup glammed up the ladies - featuring Renee's classic red lip. Epoch Salon created beautiful updo's and flowing waves. The Chicago Athletic Association was the getting ready venue of choice. Codrean Photography captured their amazing day. La Rue Floral crafted and designed the stunning greenery and floral arrangements. Toast and Jam had guests dancing the night away. Fotio photo booth had everyone coming back for more. The perfect cake and sweets table came from Sweet Mandy B's. D'Absolute served a three course meal and signature cocktails. Urban Allure Events provided day of coordination.